Happy Thursday! A few months ago, Beate from Splitcoaststampers asked me to write a tutorial on that “inky thing I do.” It was published yesterday on Splitcoaststampers and can be found under the Resources section as “Wrinkle-Free Distress.” I contacted Tim Holtz and asked his permission to recreate the tutorial for SCS, and what he actually called this technique . . . I didn’t want to get it wrong! 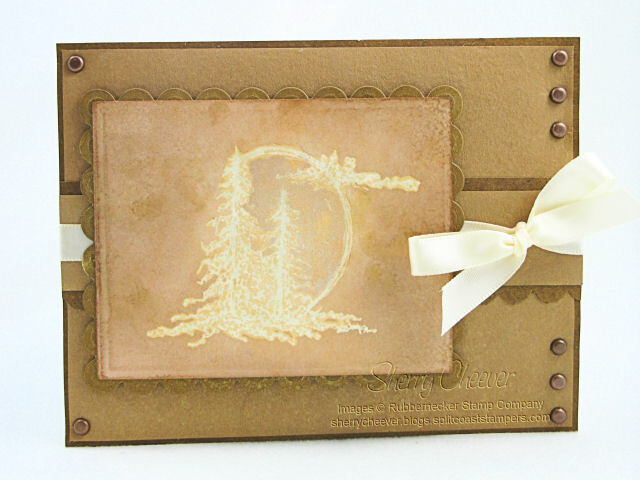 Here’s the card I created as my sample for the tutorial. Instead of letting the tag stand alone, I decided to incorporate it into a card. 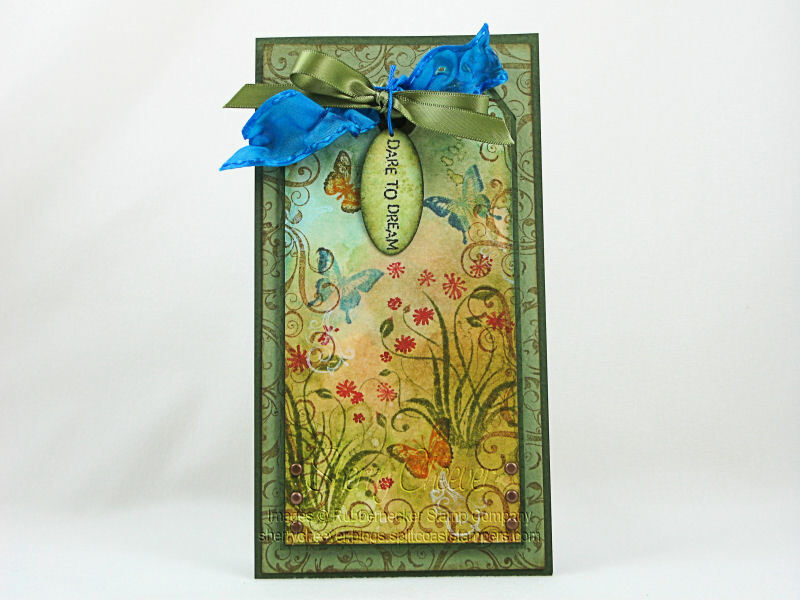 Once I had finished the tag, and had the layout for the card, I stamped the flourish images on both the card front and the tag. I lined the flourishes up, and raised the tag with mounting tape. Some of the images on the card, i.e., the butterflies and small flourishes are a sneak peek of what’s coming next from Rubbernecker Stamps. I hope you try this technique and have as much fun with it as I do! Have a great day and thanks for stopping by!